For those of you that have never been to a chiropractor, you have no idea what you’re missing out on. The health benefits that are attached to receiving this type of alternative healthcare are too numerous to write about in such a short post. Take my word, there are many health benefits associated with being under the care of a good chiropractor. 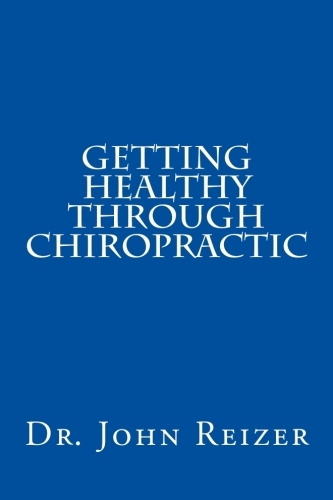 As many of you already know, Dr. Reizer has been a practicing chiropractor for nearly 30 years and he has authored quite a few best selling books on the subject. And he’s just added another short publication to his impressive resume that will help laypersons and prospective patients gain a better understanding about what traditional chiropractic can offer the public in the way of Getting Healthy Through Chiropractic. Click Here to Purchase Book! Dr. Reizer’s new book will be available on Amazon.com and from other booksellers in the next several weeks. But for those of you that want to read it for free, check out his office website and peruse through the articles that are published there. A lot of those materials have been repackaged into the new publication. Previous PostZIKA IS A COVER FOR TDAP VACCINE!Next PostThe Calm Before the Storm!